Whether it is getting out on the water for a traditional canoe paddle or trying something new, our Brudenell River location offers the perfect environment to get out on the river for a relaxing paddle in a canoe or on a paddleboard. Stand-up paddleboarding is taking surfers, kayakers, canoers, and all-around water lovers by storm. It’s easy to learn, a great core workout, and suitable for all ages and fitness levels. Brudenell offers a sheltered, safe environment to try this new sport out for the first time. 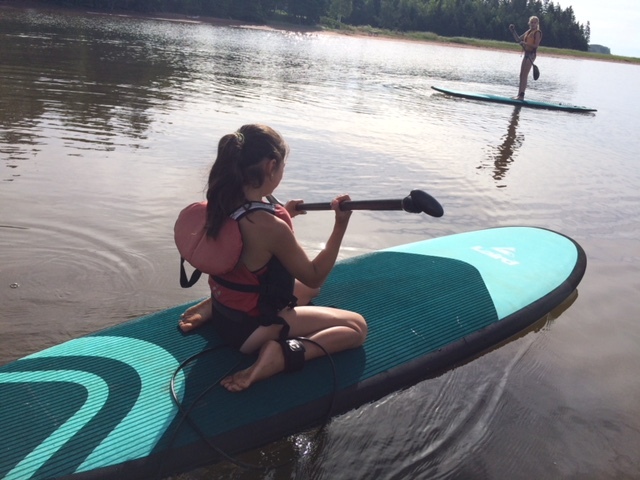 Due to various conditions at our North Rustico location, we only rent out SUP”s to experienced paddle boarders.